except for the fact they don't actually have one of those. You see, seven days out of the week my blog posts are about as popular as the writing staff at The Onion is with the National Organization for Women. I've got to hang bacon outside my blog if I want to entice anyone to enter, and once anyone's inside I've got to hurtle myself at their feet to get them to leave a comment, even if it's only "let the hell go of my feet!" I only clicked on yer link because I thought maybe there'd be pictures of cute kittens, loser! What's changed? Frankly, my humor writing is still about as funny as a descriptive passage from "Heart of Darkness" by Joseph Conrad. No, what's changed is not the writing but the fact that I am now a card-carrying member of the Friday Fictioneers. The Fictioneers, under the direction of Rochelle Wisoff-Fields, is an internet group of some one hundred writers who every Friday (or thereinabouts) write a 100 (or thereinabouts) word flash fiction story based on a picture prompt posted earlier in the week. And in the incestuous community of the Fictioneers, most members write weekly comments to each other supporting and mostly praising each other's posts. Great piece! Loved the way you wrote in English and didn't spill salsa all over the computer screen! What writing! Brilliant from start to finish! You're so funny! 'To get to the other side' joke slayed me. Also you wrote in English, wonderful idea! Thought this was kinda funny 'cept I was so wasted when I read it, man! ... and so on through the week until comes another Friday and it's Roll Out the Barrel, We'll Have a Barrel of Fun 'til Monday when once again Ah, Look at All The Lonely People but not to worry, Perry, because in a couple of days, Happy Days are Here Again! That is, until Monday next when Just Me and My Shadow demonstrate once more why I am uniquely qualified to win The Schizophrenic Blogger Award, if only they actually had one of those. 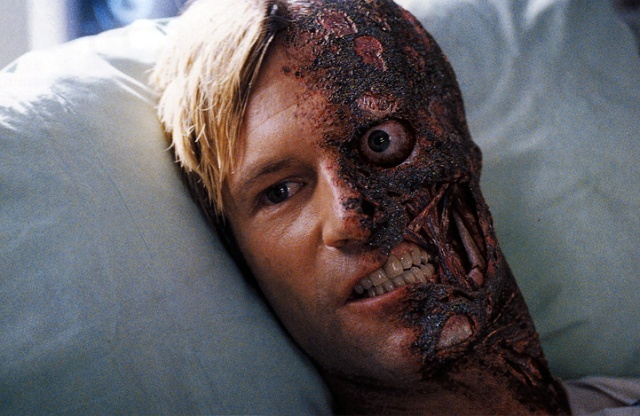 But how long can I live his dual life, this two-face of a blogger's existence? It seems that I must choose. Do I remain within the cushiony comfortable bubble of the Friday Fictioneers forever or do I fess up to the unaided reality of a mostly comment-less seven days a week blogging existence? And, as a result, probably get myself a straight job as a meat inspector for IKEA? And know what, blogging world? 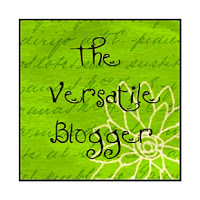 *Not to brag, but I actually am an Award-winning blogger, having netted the Versatile Blogger Award and Stylish Blogger Award a few years back. When I win me a third award, I'm putting it on my stationery, business cards, and voice-mail! You deserve all the readers in the world, Perry, and not just on Fridays. Right here, right now, I pledge to check out your blog whenever you post. You're so cute when you're schizophrenic. Well, the big day is just around the corner, Perry. You and I will get our weekly quota of 15 to 20 nice comments from our Fictioneer friends (which I greatly appreciate). I visit other blogs and notice they get 100 hits (regularly) for writing a post about how to knit an afghan from cat hair collected from their neighbor's couch. Oh, by the way, Thanks for writing this one in English. And you oughta know, as my therapist. Thanks, June! Yeah, Russell, isn't it great how our Fictioneer friends are right now preparing their loving comments about our work while we sit here talking about them! I originally tried the theme "Nouveau Old, Formerly Cat Hair" and it just didn't work for me. I guess it was stupid of me to write it in English. C'est un commentaire gentil,Joy. Merci beaucoup!